B.R. 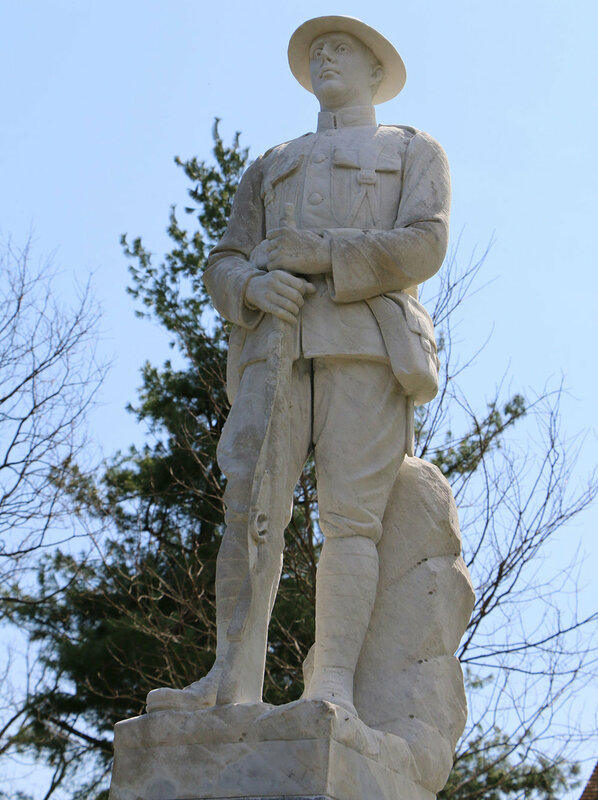 Howard was contracted by the Conrad Weiser Homestead to provide conservation treatment to the Doughboy Statue and create a treatment plan. The sculpture and base were cleaned using natural sponges and natural bristle brushes wetted with a detergent solution in potable water. The sculpture was rinsed with potable water, applied with a low-pressure garden hose. The sculpture was sprayed with an anti-microbial solution and left to stand for four weeks. The solution and rest period was repeated two more times. The sculpture was then photographed after the cleaning was completed.